Friday the 13th Part 3. Germany lobby cards. 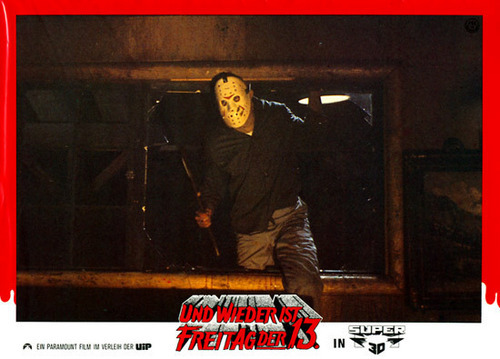 Wallpaper and background images in the फ्राइडे द थर्टीन्थ club tagged: friday the 13th part 3 photos promos stills lobby cards germany 1982. This फ्राइडे द थर्टीन्थ photo contains हस्ताक्षर, पोस्टर, पाठ, चॉकबोर्ड, साइन, and साइन इन करें.